The overall goal is to expose the intern to the full range of stages in a conservation project from the collection of biological data to the development, implementation and evaluation of conservation strategies. 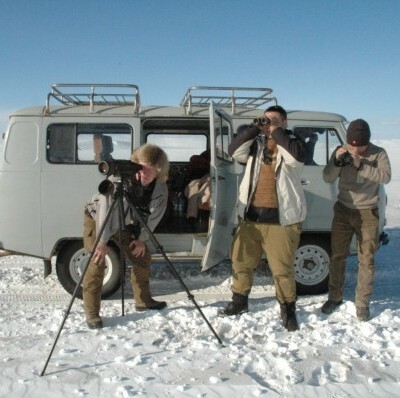 The first objective is to conduct biological research on the IUCN-listed white-naped crane (WNC) in the Khurkh-Khuiten wetlands (Important Bird Area and Ramsar site) of Mongolia. The new and existing WNC information will be utilized to educate local communities about WNC to improve their attitudes towards wetland birds. Additionally, research of existing bird-watching tours in the area will be conducted to identify opportunities for local communities to benefit from tour activities.